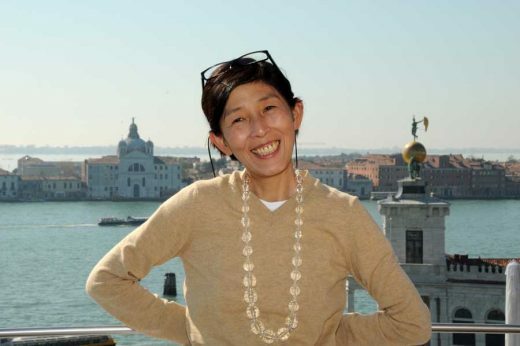 Venice, 28 August, 2012 – Japanese architect Kazuyo Sejima has been named as the first architecture mentor in the Rolex Mentor and Protégé Arts Initiative, it was announced today at the 13th International Architecture Exhibition – la Biennale di Venezia. Architecture will now be added as a seventh category in Rolex’s global philanthropy programme, which includes literature, music, visual arts, dance, film and theatre. Sejima, a partner in the architecture practice SANAA, joins a distinguished line-up of Rolex mentors for the current cycle of the programme, which pairs major artists with rising young talents. They are: Margaret Atwood (literature), Patrice Chéreau (theatre), Gilberto Gil (music), William Kentridge (visual arts), Lin Hwai-min (dance) and Walter Murch (film). Sejima’s protégé will be named in autumn 2012. The young architect will be invited to spend time over a period of a year working on Home For All. The project was created by Sejima and other leading Japanese architects – Toyo Ito, Riken Yamamoto, Hiroshi Naito and Kengo Kuma – to respond to the housing crisis following the devastation caused by the 2011 tsunami in Japan. Sejima and her partner Ryue Nishizawa won the Golden Lion at the 2004 Venice Architecture Biennale for the 21st Century Museum of Contemporary Art in Kanazawa, Japan. In 2010, they won architecture’s highest accolade, the Pritzker Prize, and that year Sejima became the first woman appointed as director of the architecture sector of the Venice Biennale. Among her major works is the 2010 Rolex Learning Center for the Ecole Polytechnique Fédérale de Lausanne (EPFL), an architectural landmark in Switzerland, of which Rolex was the lead private funding partner. January 11, 2018 in Architects.